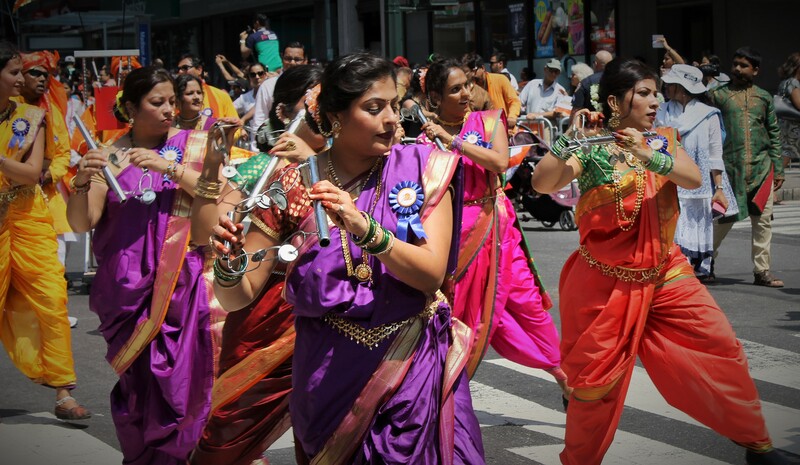 Colorful Display of Indian Culture and Celebration on Madison Ave. 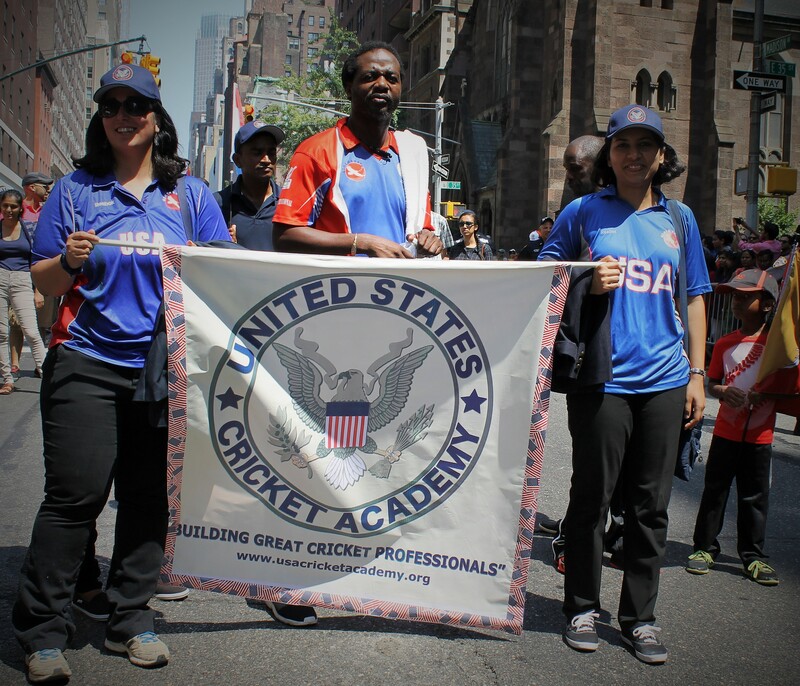 Billed as the largest Independence Day celebration outside of India, the 37th annual parade made its way down the parade route on Madison Ave. between 36th and 25th Sts. 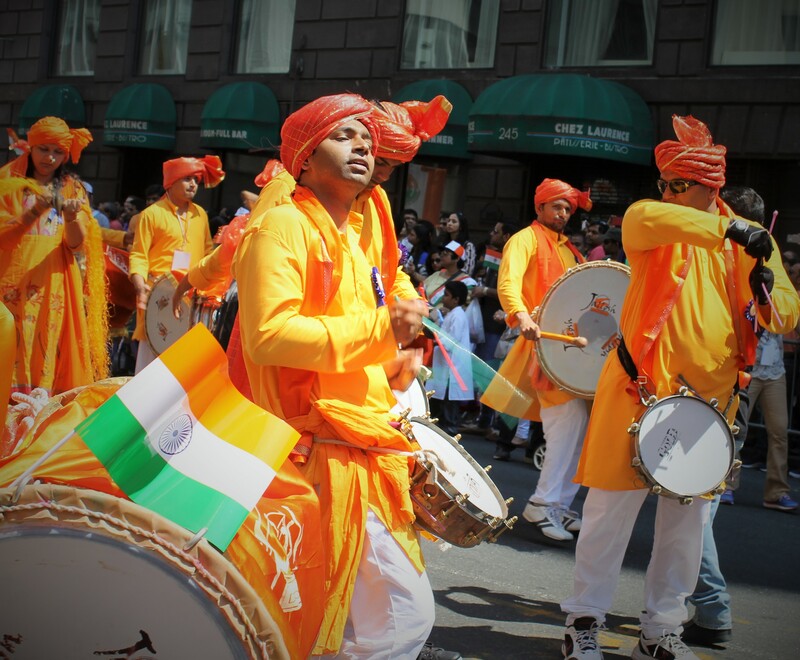 Thousands had gathered to see one of the most colorful parades of the year celebrating the 71st year of Indian independence. 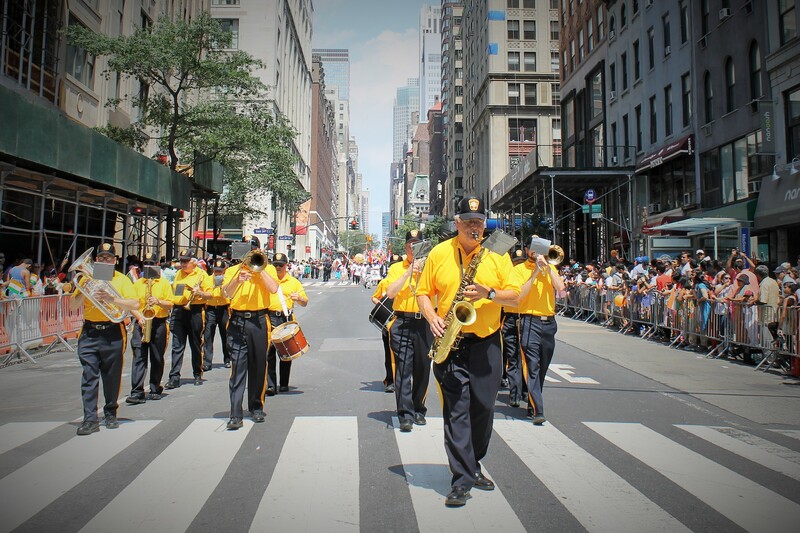 This celebration is held in many parts of the US but the one in NYC always draws the largest crowds and the more popular celebrities. Parade sponsors, Federation of Indian Association (FIA-NYNJCT), invited Telegu actor and producer, Rana Dagubati and actress Tamannah Bhatia, both famous for their roles in the popular film Baahubali: The Beginning. 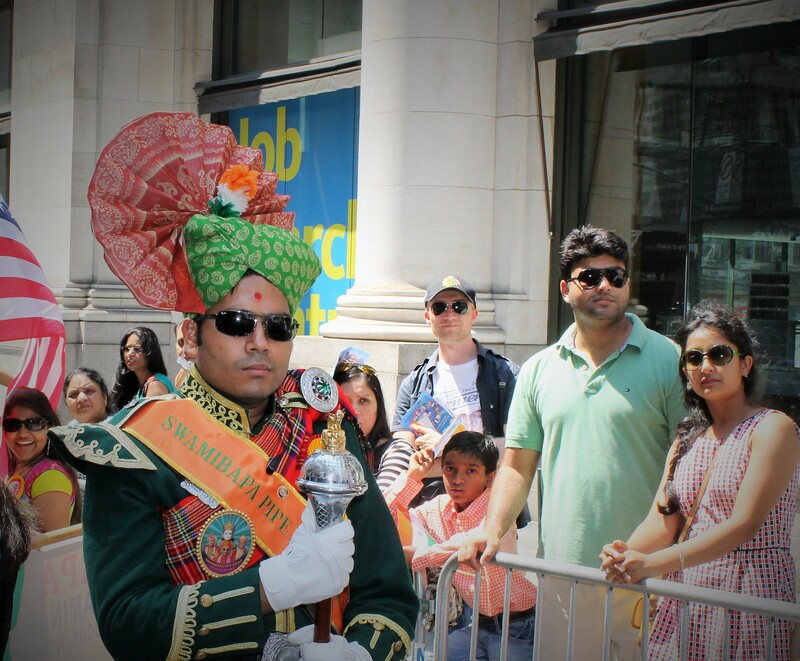 They were well received by the large crowd as they took their place by the VIP review stand on 27th St. Another special treat were the all-female Air India Lady Pilots and crew that became famous for being the first all-female pilots and crew to circle the globe. They received one the loudest applause from the crowd. As usual, the mounted police signaled the start of the parade. 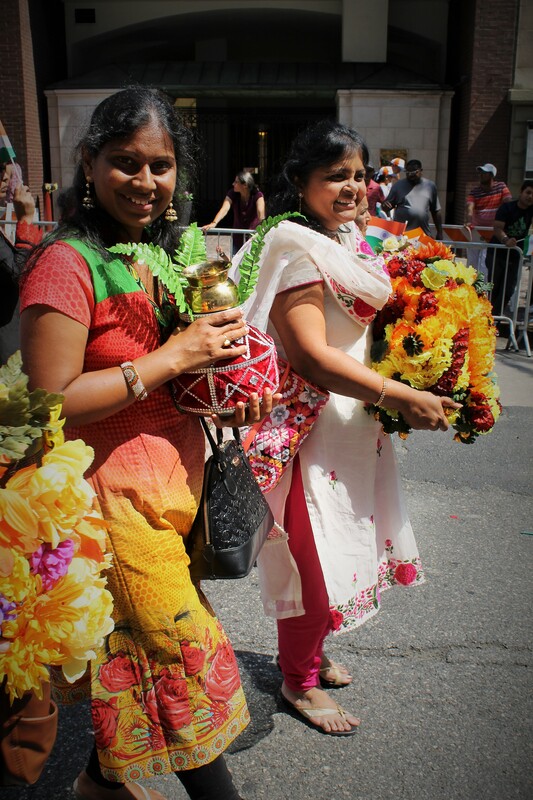 This year NYC Mayor DeBlasio made a well prepared speech about the contributions of the Indian American community to the city. 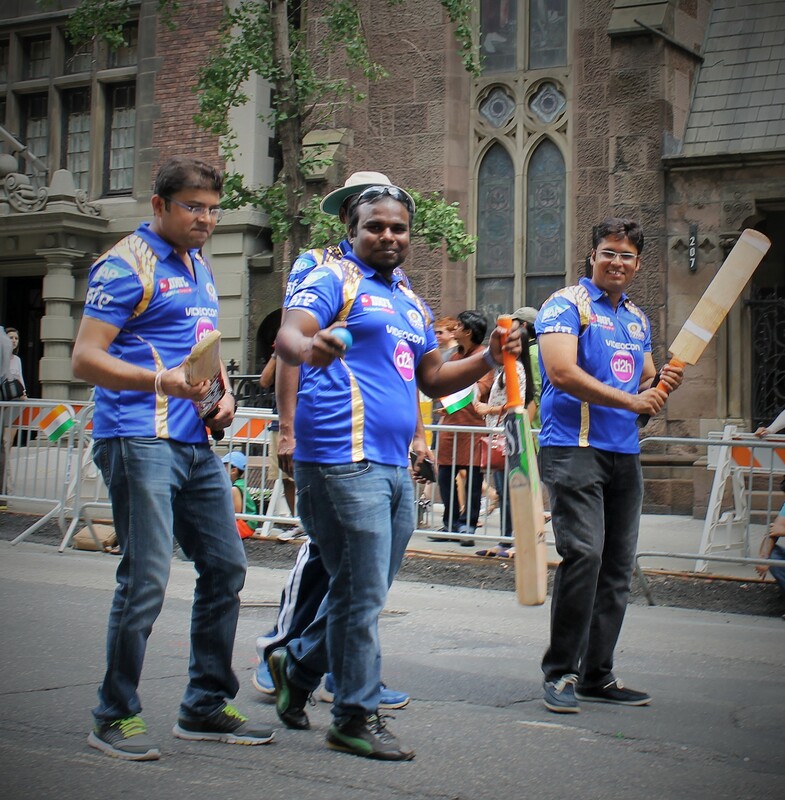 Soon after the fun started when an annual favorite group, Jai Bharat, marched their way down the parade route. 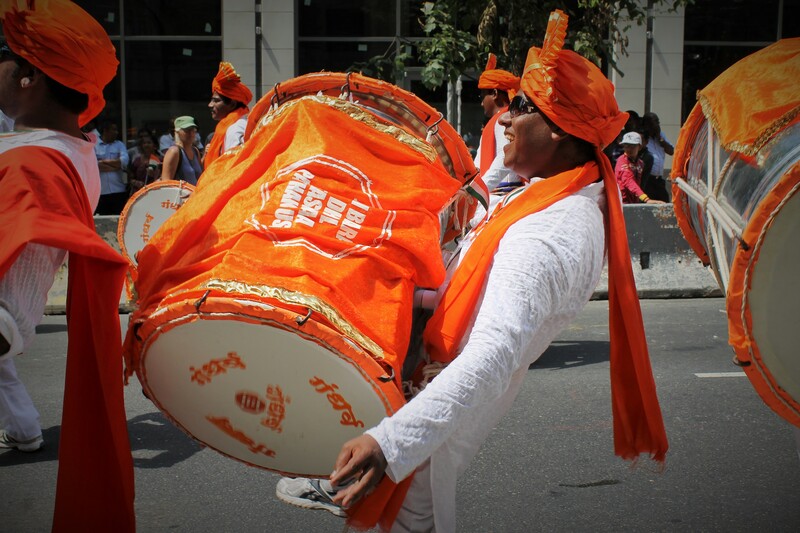 Their enthusiastic drummers got the crowd worked up for a fun-filled day. Soon after them, another drum group that keeps growing every year arrived. 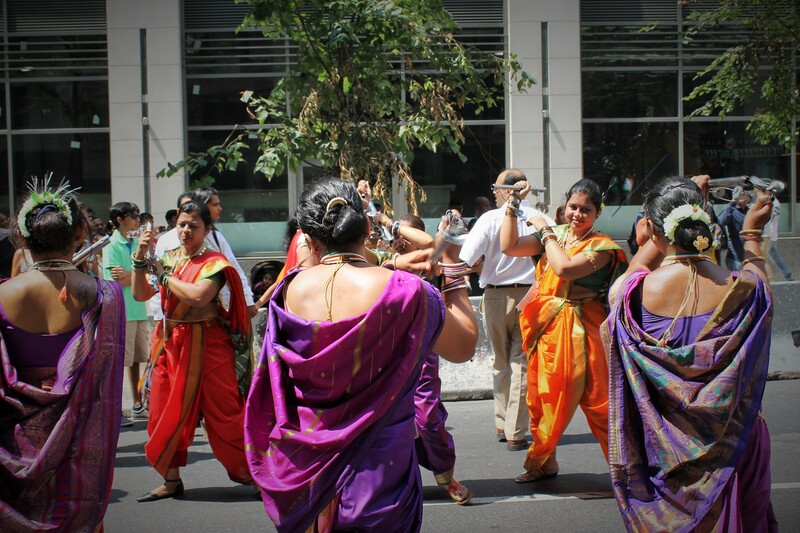 Jallosh really had fun with their lively music and dancing. 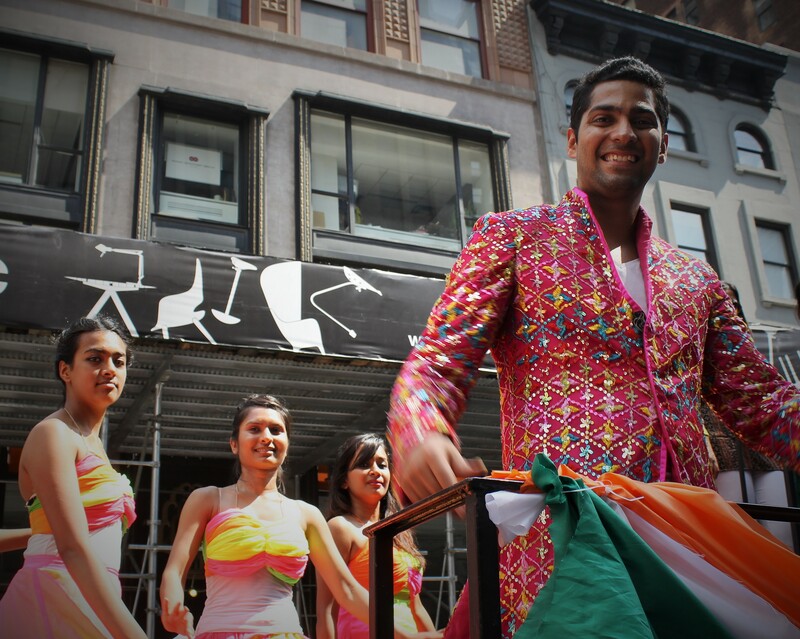 India Idol finalists including Khuda Baksh appeared on a float. 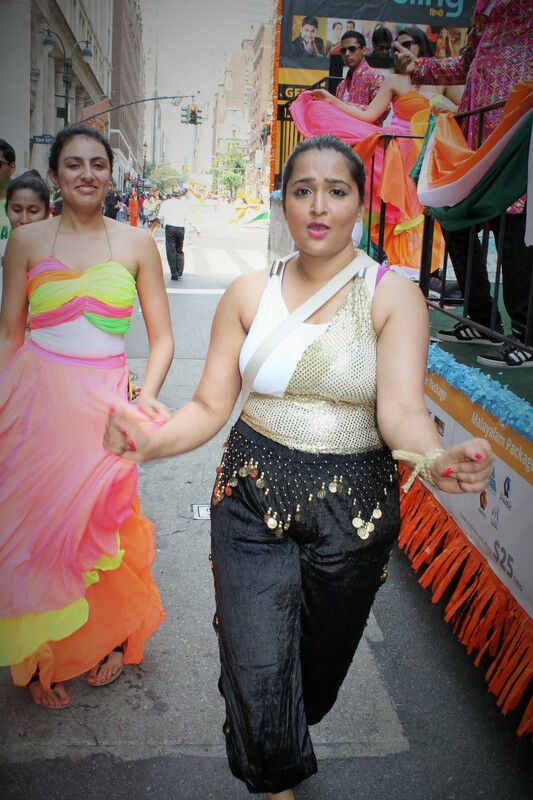 Other floats from the Star India Plus had displayed dancers moving to some popular songs. 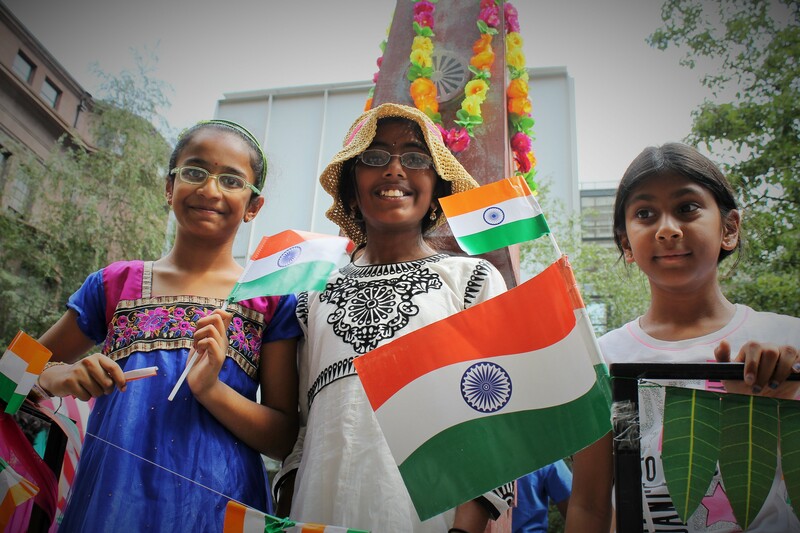 India is as diverse and spiritual as any land in the world. 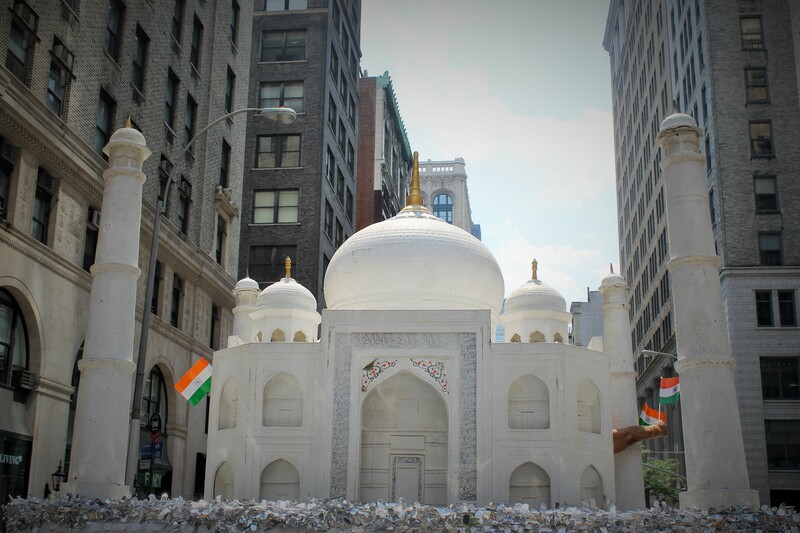 With many religions, languages, and cultures on display, there still some important issues that were expressed. The Rally For Rivers group had a large group with a vital message to save the rivers from drying up due to global warming and farming issues. They can be contacted at RallyforRivers.org. 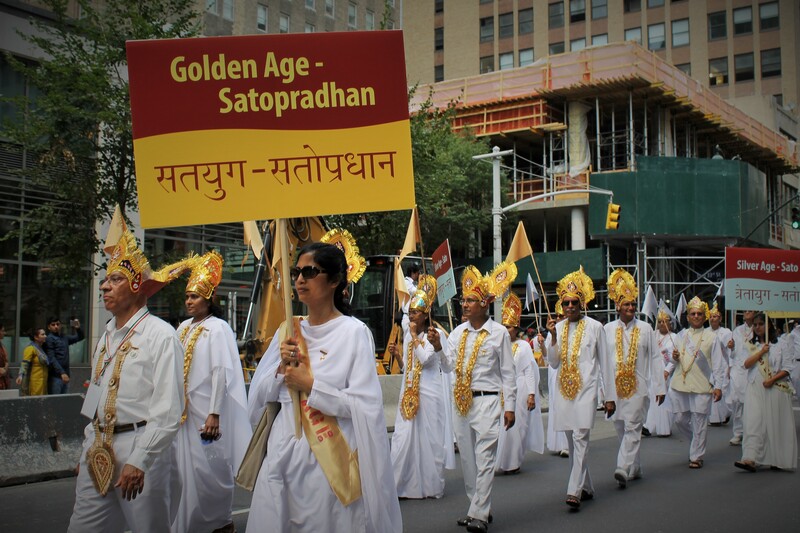 Other returning groups were the World Yoga Community and the Jains of America group. Closing out the parade was the Christian group with their Biblical messages. 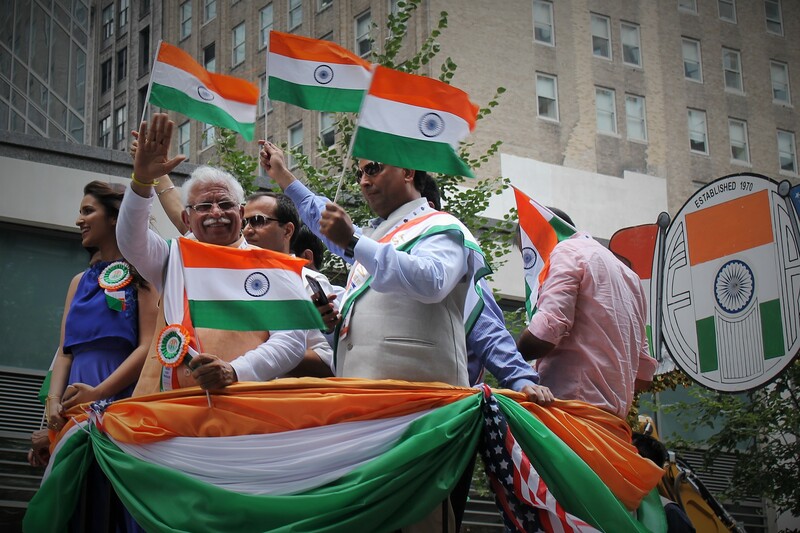 All in all it was a fun parade to witness and a proud day for the Indian American community. 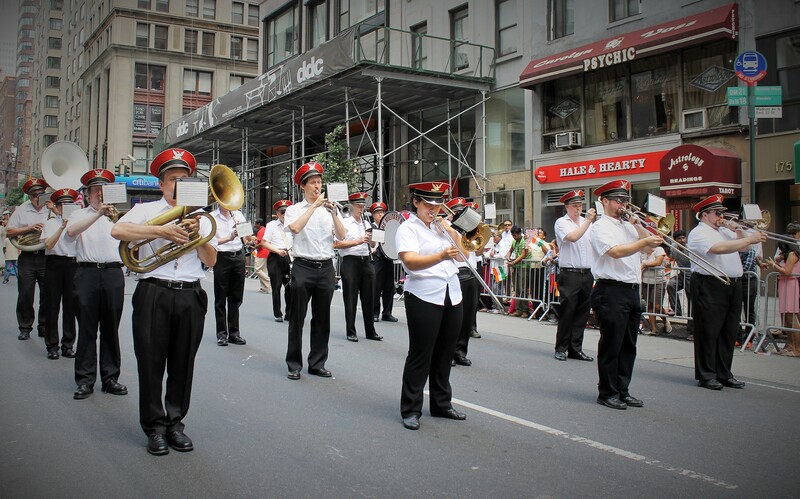 The parade route along Madison Ave. was buzzing with thousands of revelers waiting for the festivities to begin. 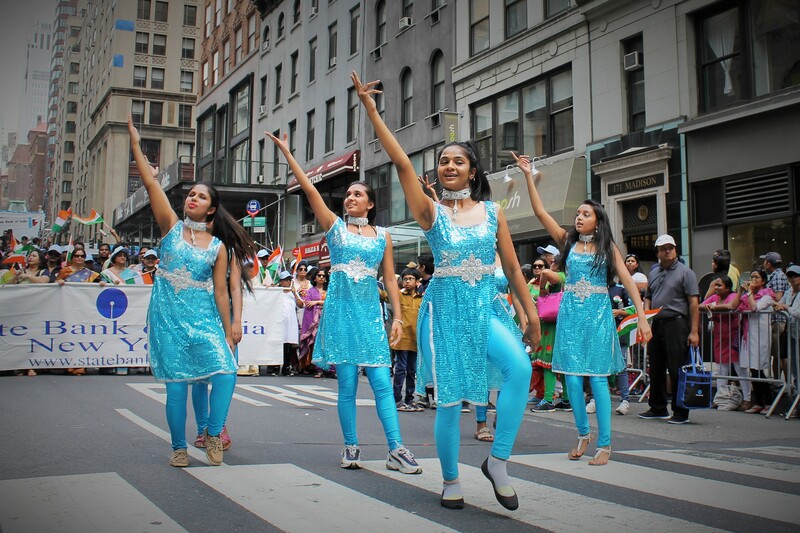 In this version of the 36th celebration of Indian independence, the crowd was not disappointed with a wonderful display of culture, color and dance. 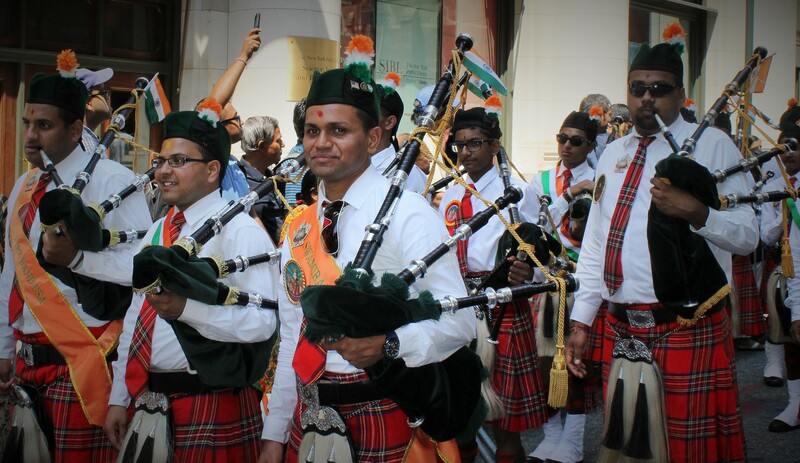 Outside of India, this is the largest celebration of independence with well over a hundred thousand people coming out to show their love of country. 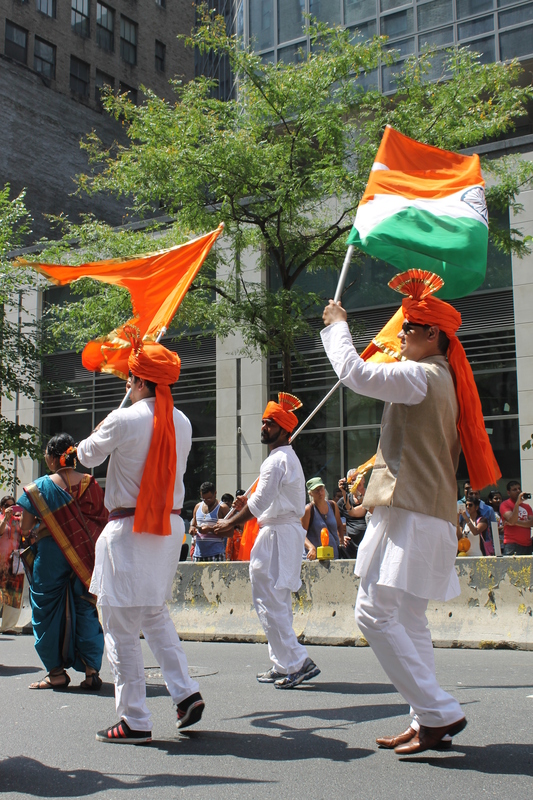 Plenty of flags were waving as the crowd was eagerly awaiting Grand Marshall and Bollywood celebrity Abhishek Bachchan to make his way to the reviewing stand along 28th St. and Madison Ave. He was greeted with the ovation of a superstar by his loving fans. 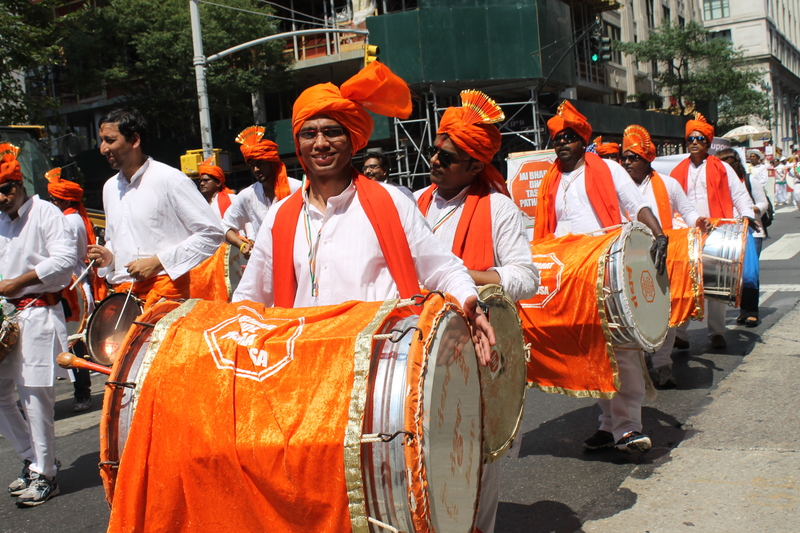 Then things got a bit louder when a crowd favorite, Jai Bharat, marched down the parade route with drums banging loud and proud. They really got things worked up. 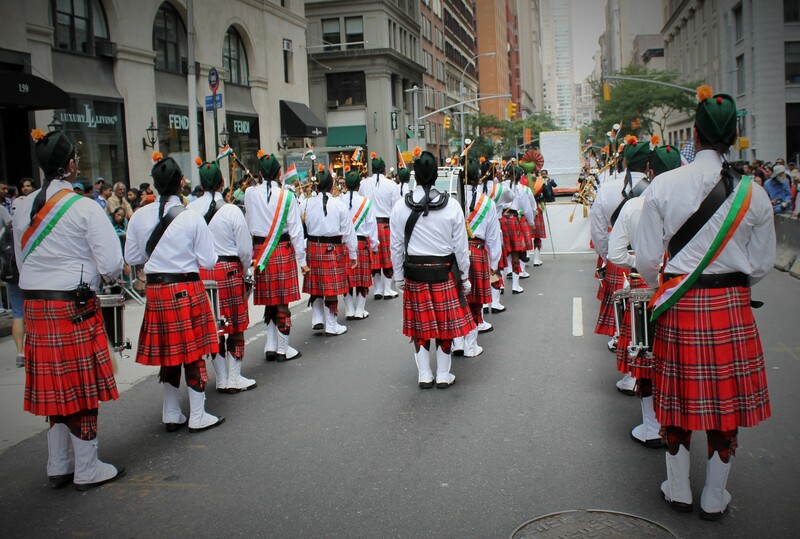 An annual favorite local band from Secaucus, NJ, Swamibapa Pipe Band made their way down the parade route. Another drum band that really had a fun time was Jallosh with their traditional costumes and dance. This group has grown over the years. India is a nation that is very spiritual and sent many representatives to display their love and devotion to humankind. 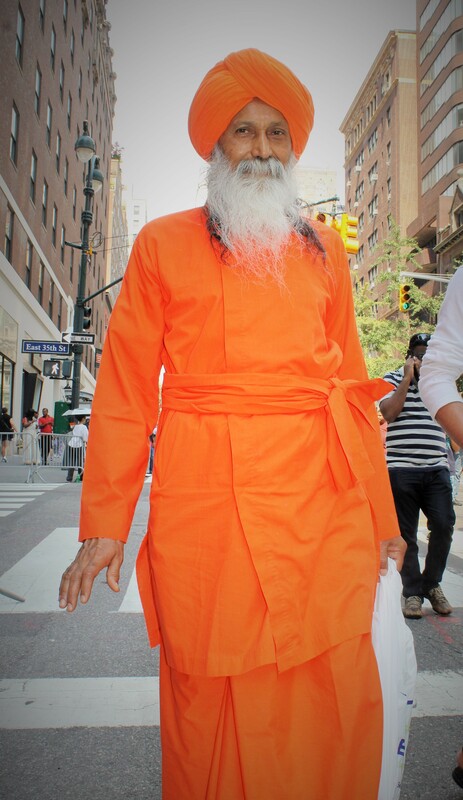 Chief Guest Yoga guru Baba Ramdev made his appearance along with other spiritual groups. 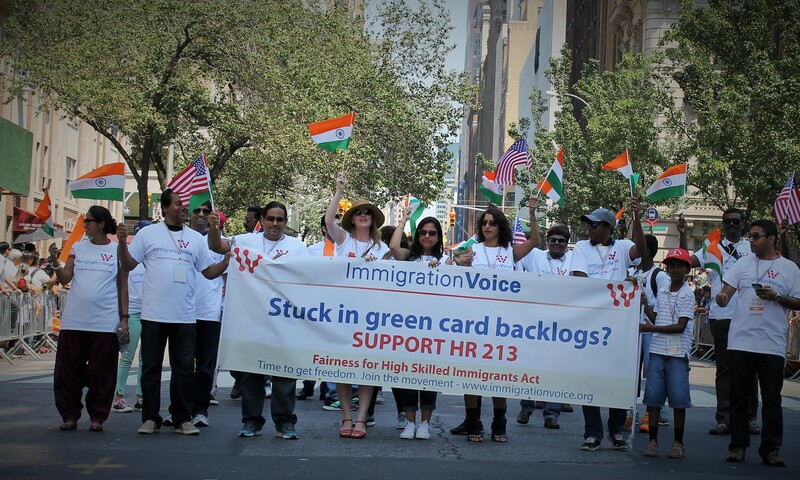 These groups had plenty of signs to bring awareness to onlookers. 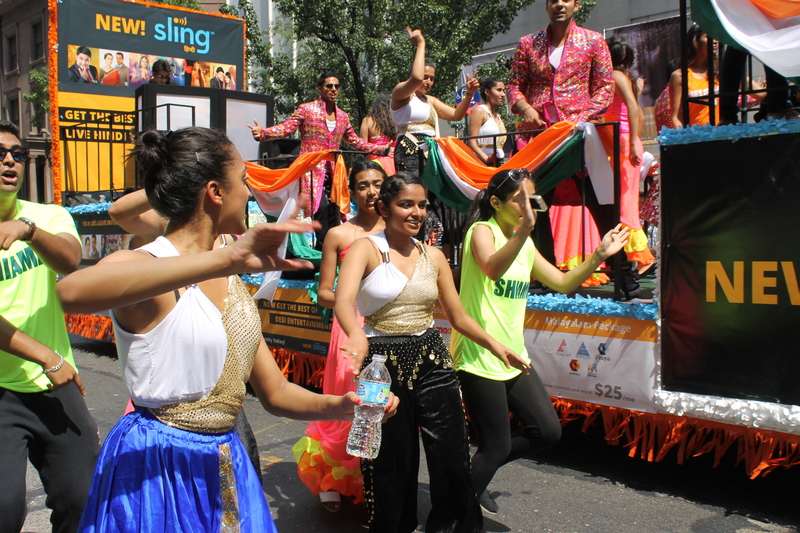 There was a good mix of traditional costume with modern dance and none was better evident than the Sling float. They were very energetic and got the crowd really worked up. 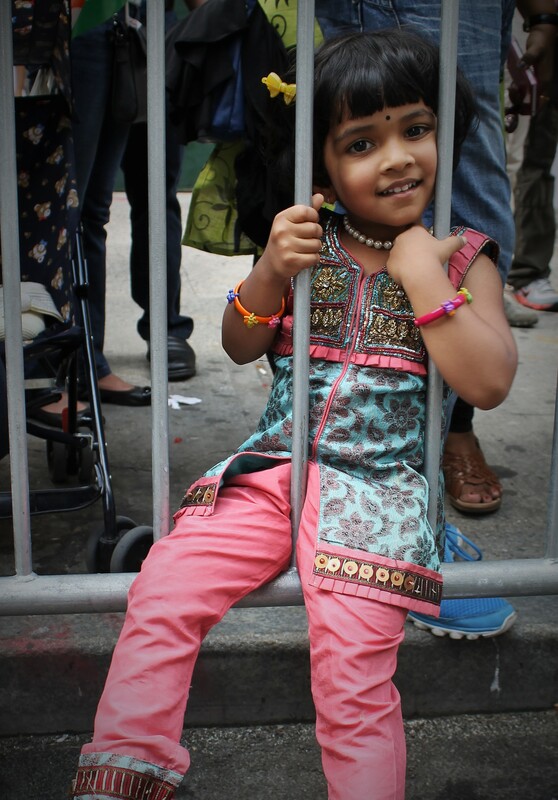 After the parade there was a stage set up more dancing and singing right next to Madison Square Park and even more importantly there was some great Indian food right around the corner from the stage. Yumyum. 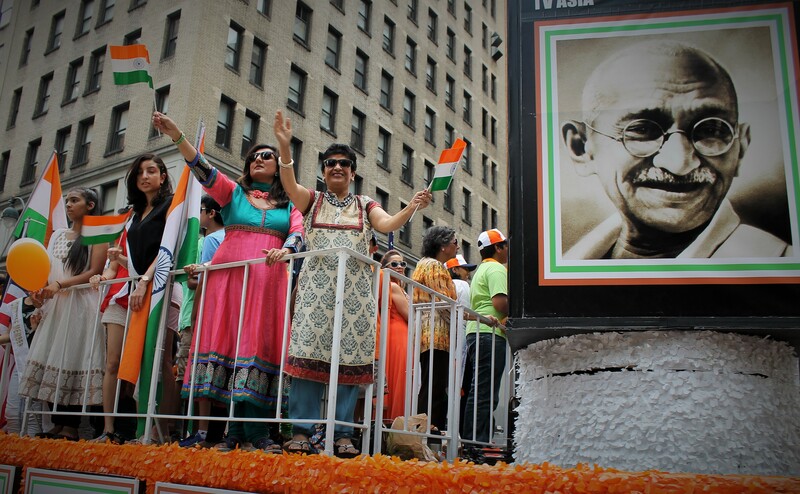 Indians Bask in the Glory of Celebration on Madison Ave.
On a day where the weather felt more like Mumbai than New York City, thousands of Indians came out to celebrate the 35th anniversary of the Indian Independence parade on Madison Ave. 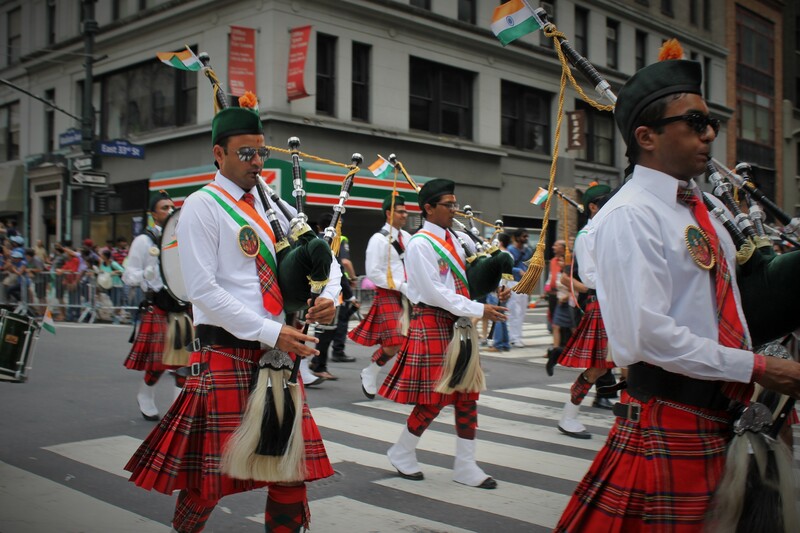 The parade is billed as the largest Independence Day parade outside of India. 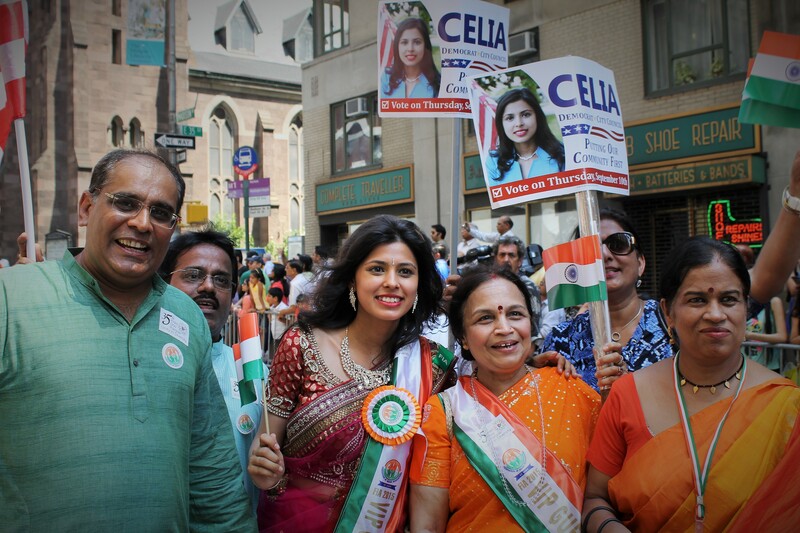 The excitement was building ahead of the opening ceremony as members of Parliment, Bollywood actors and traditional dancers were ready to march down the parade route from 38th to 24th Sts. 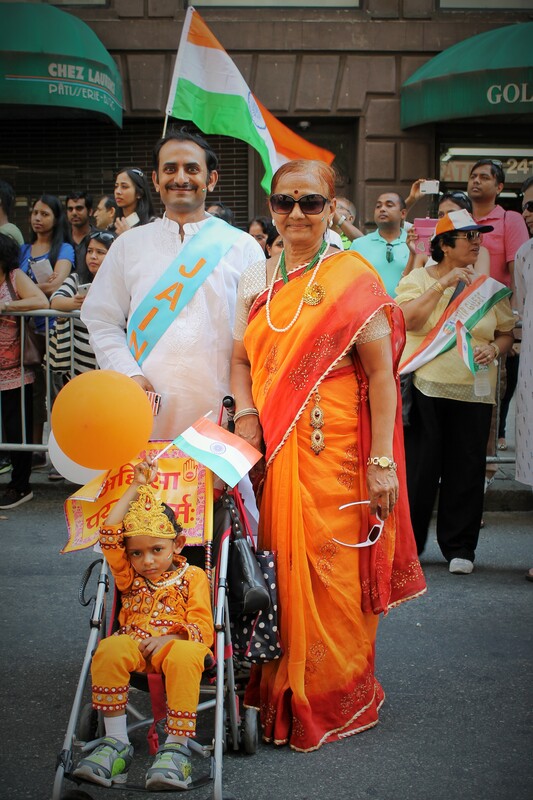 The Indian population in the tri-state area has been on the rise in the last decade as the tech boom in NYC has attracted many from the other side of the globe. 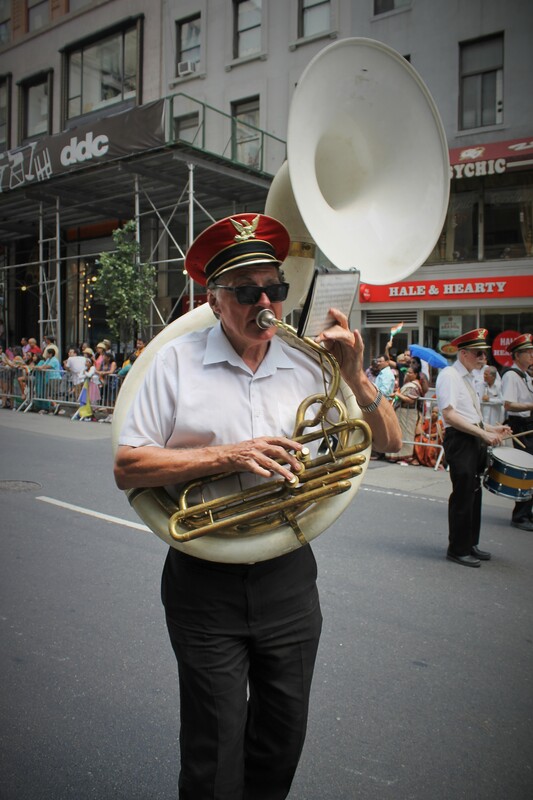 A parade like this helps ex patriots recapture the tradition and culture with others that might be on assignment or relocated permanently to the US. As usual, the mounted police signaled the start of the parade. 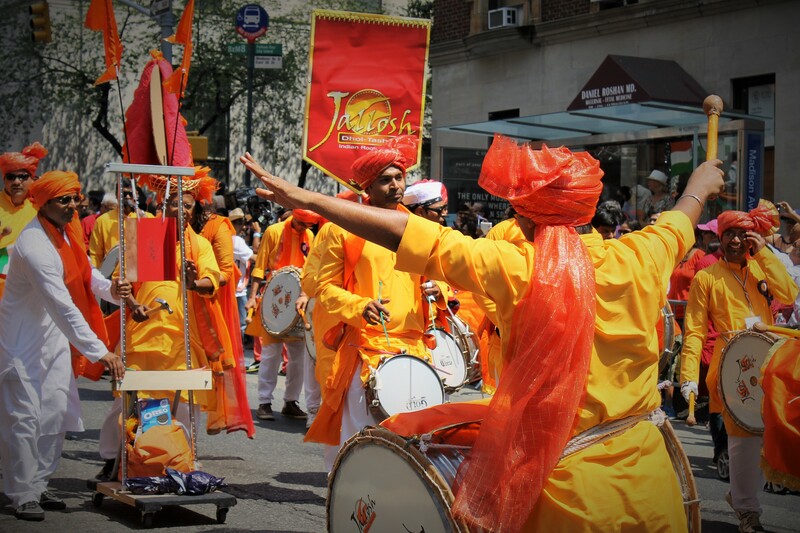 In their second year dancing in the parade was the loud and colorful Jallosh group with their signature loud drum beat to wake every one up and prepare them for a fun filled day. 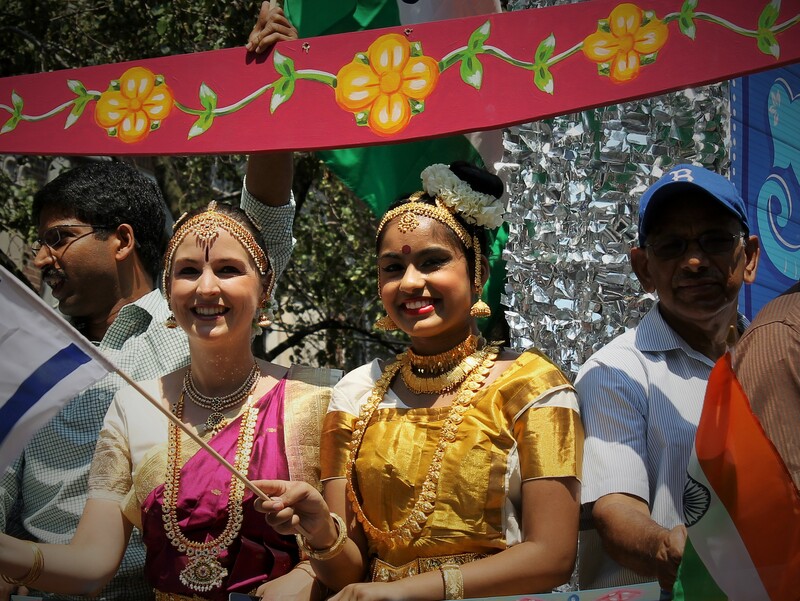 India is one of the most diverse and spiritual nations and the parade reflected this amazing diversity. 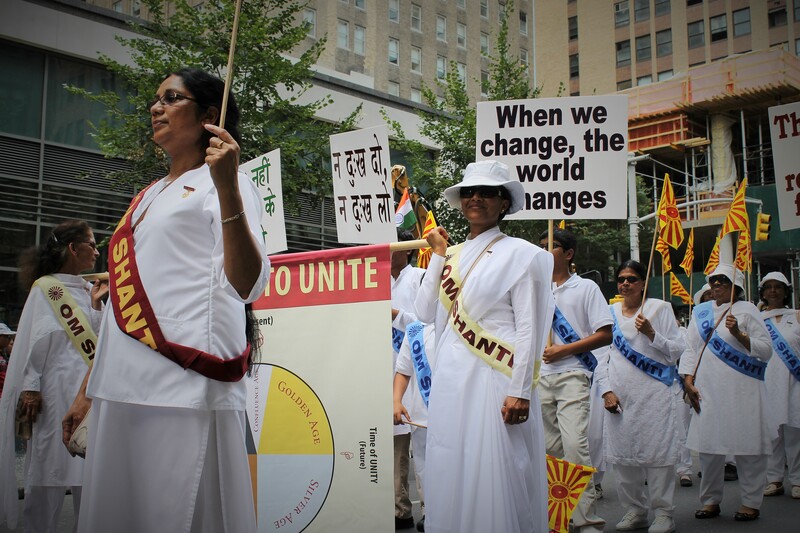 Many religious groups carried banners with messages helping to raise consciousness. 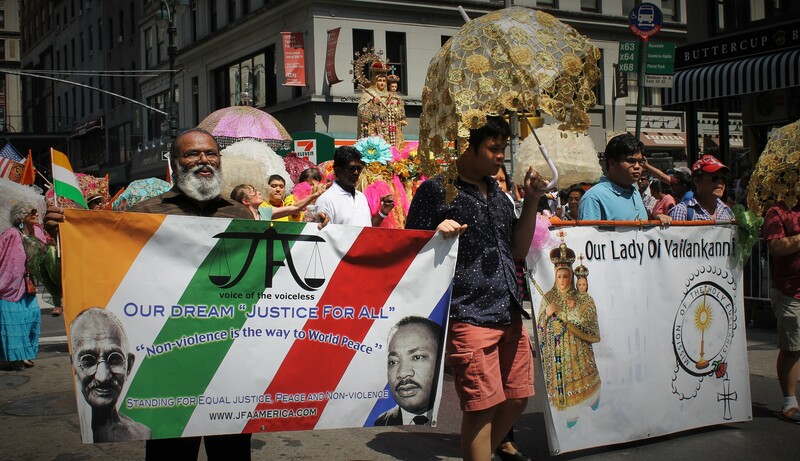 One banner was from the Jain religion and how it inspired Ghandi’s approach to non-violent change while another reflected the unity of India and the US with images of Mahatma Ghandi and Martin Luther King Jr. together. 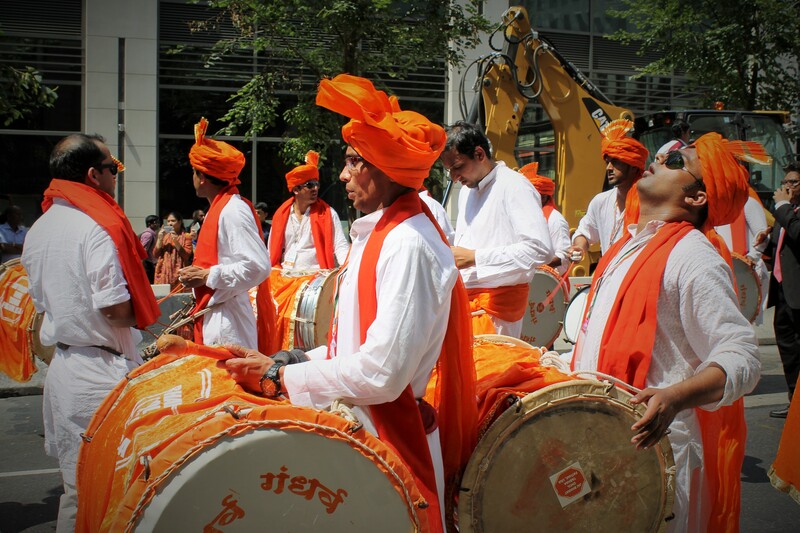 Another impressive traditional dance group was Jai Bharat with their colorful attire and loud drum beat. 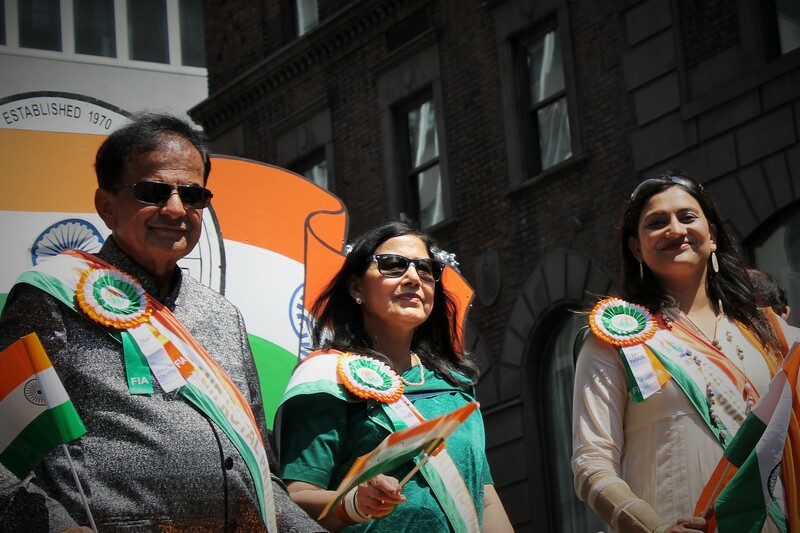 They were a prelude for the parade dignitaries including India Parliment member Sashi Tharoor, whose wife was found dead last year in a hotel in New Delhi. Bollywood actors Arjun Rampal and Parineeti Chopra really got the crowd worked up. 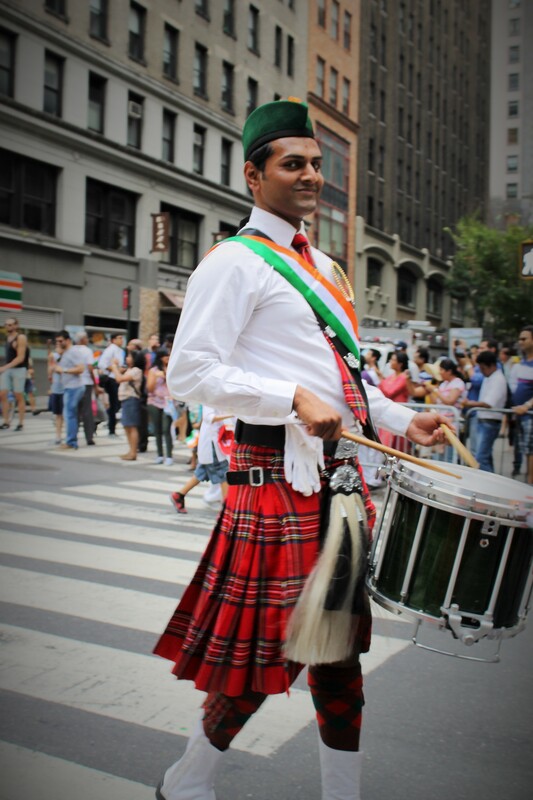 Perennial favorite is the Swamibapa Pipe Band from Secaucus NJ really got into the moment and played some tunes that would have given the Irish or Scottish pipe bands some competition. Revelers young and old and everything in between were showing their love of country and culture and more importantly having lots of fun doing so.